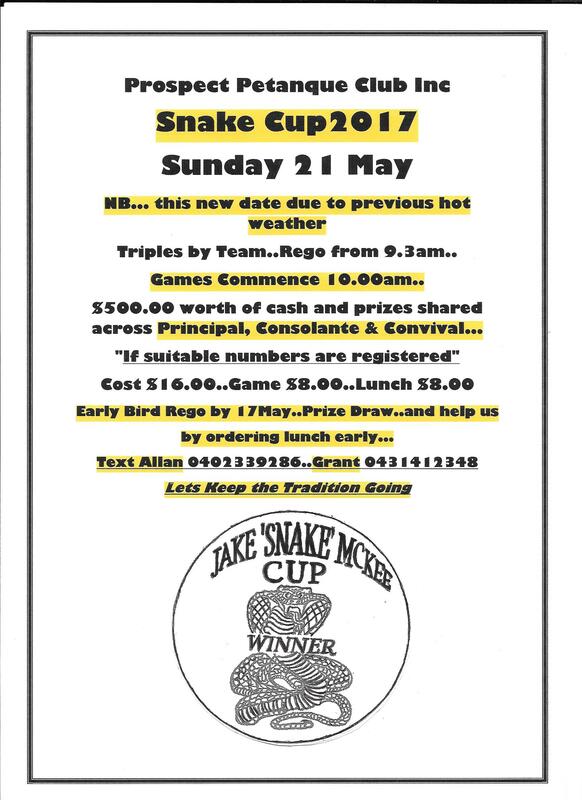 The revised date for the postponed Snake Cup at Prospect Pétanque is Sunday 21 May. It has replaced the schedule Committee Cup. All of the conditions are the same with our $500.00 cash and Trophies prizes. It is a doubles by team competition. Download a copy for display at your club from here. On the 1st April 2017, Club De Petanque D’Adelaide will be celebrating their 40th Anniversary with a dinner at the club. 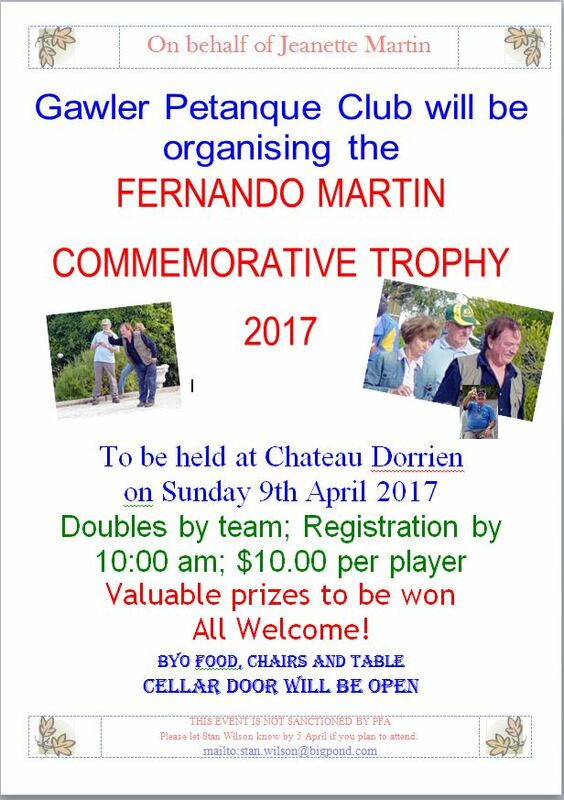 The club, which is Australia’s oldest pétanque club, would love for as many as possible to come along and help celebrate this milestone. As always dinner will be by our Master chefs Rada and Claudia, with entertainment provided by Tina. So please save the date come along and celebrate …more information to follow.